There was a burst of sunshine when India took its place under the Davos sky. Prime Minister Narendra Modi made an audacious pitch at the World Economic Forum (WEF): India will replace red-tapism with red carpets. Modi’s pronouncements have a buoyant resonance because there is presently a lot of honeyed juiciness in international perception about India. Moody’s upgraded India for the first time in 14 years and the country made it into the top 100 in the World Bank’s Doing Business rankings last year, narrowing the gap with competitor China. Much is still needed; however, by way of follow-up action at home. An Oxfam survey has revealed that the richest one percent in India pocketed 73 percent of wealth generated in 2017.Similarly, a WEF survey placed India at 62 among the 74 emerging economies on an Inclusive Development Index—much below China and even Pakistan. The development landscape is still arid, with occasional green shoots, and is not seeing the sort of development that significant public expenditure would seem to warrant, and the needs of important population groups remain only partly addressed. It is a tough test for the reformer in Modi, who is still very far from fulfilling the pledge that won his office in 2014: To deliver the jobs India’s burgeoning population desperately longs for – with nearly a million new job-seekers entering the market every month. His grandiose plans should not end up like the development projects of the past administrations he has been excoriating, that is, high-minded pronouncements on paper with zero delivery in practice. For this, it is equally important that the lessons of the failure of the long series of development programmes should not be lost on us. Modi must remember that a man’s mettle is determined not by how many strong shoulders he leans on, but by how many weak hands he holds. If Modi wants to deliver development that is both GDP-booster and at the same time is egalitarian and equitable, he would have to recast the development and political paradigm radically. Problems can be solved through reasoning and dialogue, a true democrat’s approach. For a nation, its Constitution should remain its North Star—a beacon of light, a guide through the darkness. The real measure of success is that of that of Alexander the Great—when Alexander looked upon his kingdom he wept because there were no more worlds left to conquer. India’s once-ample resources have been frittered away on the grandiose schemes which failed to pay the expected dividends. India’s growth in GDP would constitute a resounding success only if it is labour-intensive, involving sustained and large-scale job creation. If not, millions of young Indians entering the labour force will not be able to find decent jobs and growth boasts will be hollow. Sen and Jean Drèze, a Belgian-born Indian economist, warned as early as 1995 that reforms that boost growth, though important, were not enough to improve the living conditions of the poorest, let alone dismantle caste and gender hierarchies and generate employment. “They have to be supplemented by a radical shift in public policy in education and health,” they wrote. For human development to reach everyone, growth has to be inclusive, with four mutually supporting pillars- formulating an employment-led growth strategy, enhancing financial inclusion, investing in human development priorities and undertaking high-impact multidimensional interventions (win-win strategies). We should remind ourselves of the memorable poser of Dudley Seers, first President of the prestigious European Association of Development Institutes (EADI) on development: “The questions to ask about a country’s development are: What has been happening to poverty? What has been happening to unemployment? What has been happening to inequality?" 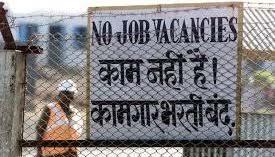 Jobless growth, which has been more dramatic in the last two years, is probably the main issue of the Indian economy today. Moreover, the impoverished populations desperately require lighting, fuel for cooking, affordable and accessible healthcare, clean water, elementary education, housing and sanitation, and financial services. In traditionally administered government programmes, the poor often get less than their due because of local corruption in disbursement, with amounts being sponged off by middlemen. Investments are certainly required but financial capital has to be complemented by human capital and social capital. Social capital like group trust and a shared history of collective action is necessary for a healthy synergy between all stakeholders. However, it normally grows organically in a community and cannot be created by fiat. The great development expert Dani Rodrik laid major emphasis on the importance of “local knowledge,” and argued that a strategy of institution building must not over-emphasize best-practice “blueprints” at the expense of local experimentation. “Participatory and decentralized political systems”, he believed, “are the most effective ones we have for processing and aggregating local knowledge." We need to commit resources such as time, talent and strategic counselling for empowering local communities. Solutions come from pairing passion with skills and digging deep into the challenge at hand. Grantmaking is not the solution. This is not to say that grants are bad; they are just one part of the solution. Aid is sometimes given badly or not in the way it should be. It is not purposeful when it is used to patch up the effects of basic differences that are built into the structure and values of society. In such cases, aid may amount to actually accepting the injustices of society while trying to mitigate the results of the injustices. In small traditional communities, each successive generation is born into the rigidity of caste; each generation must bear, at some stage in his life, the incessant greed of the moneylender and the merchant and the random cruelty of nature: famines, floods, and pestilence. Despite this, the majority survives and adapt, relying on their grit and their raw native wisdom. These are individuals who are repositories and bearers of traditional knowledge and their survival in adverse situations is accomplished by their own ingenious methods of social and economic engineering. There is thus in these societies some collective wisdom for which the professional’s knowledge is not a substitute. Successful development practitioners have always recognised the richness of this local wisdom. These experts have used their expertise to fashion out programme from inside out so that their strategies can gel with the local matrix. These are the programmes that have enjoyed local acceptability and ownership and have given the most sustainable results. People who pioneered successful social programmes recognized this potential and sought to invoke it. Thus the mantra for development professionals must be: if we go to communities, it is to study them, to learn from and to do good for them. Let us hope the call for reforms elicits a more active action than experience to date might suggest. One of the most important governance ingredients that have increasing relevance on account of the incessant buzz of choruses like “sabka sath, sabka vikas” is the need for tolerance and transparency in the ruling class. Tulsidas tells us that dispirited on seeing Ravana in an armed chariot while Rama was without arms or a chariot, Vibhishana expressed his deep anxiety thus: Ravan rathi, virath Raghubeera! (“Charioted Ravana, Uncharioted Ram”). However, Rama explained to him that a hero who has self-control, benevolence, forgiveness, discretion, evenness of mind and compassion as his weapons or horses is unconquerable. There is a great lesson for us in this timeless wisdom.